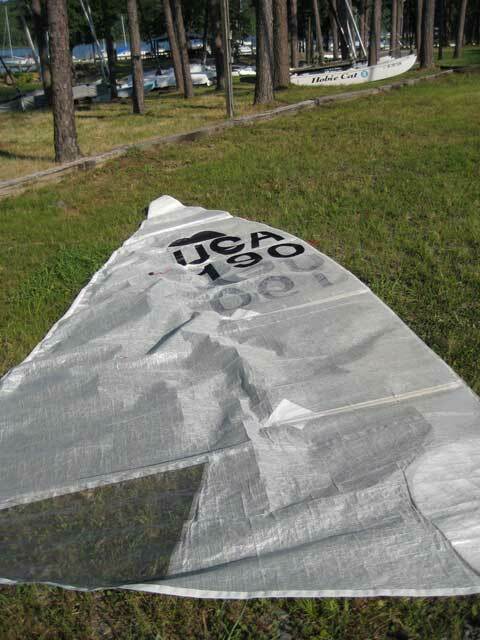 Sailing World's 2000 Boat of the Year (Dinghy) Dry, stiff, and FAST!! 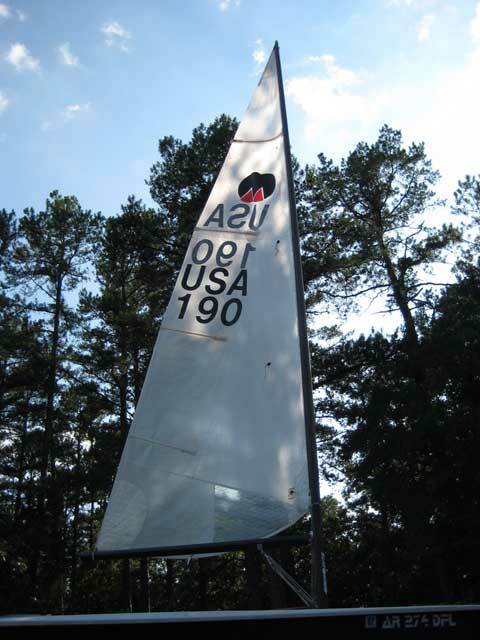 A Bruce Farr design that can be best described as a cross between a Laser and a Finn, but unlike the two, it's actually comfortable to sail! As a single-hander it's an absolute thrill, yet roomy enough for two. 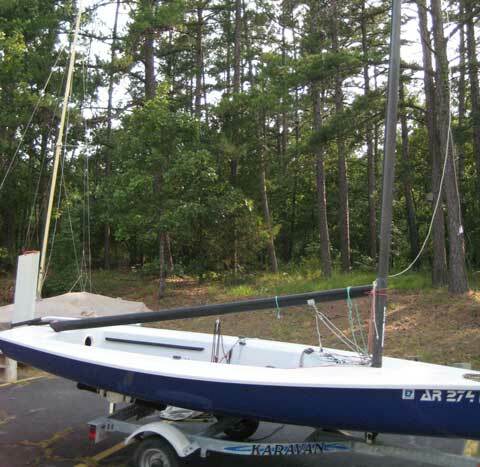 The boat comes with a like-new Karavan trailer, hull and deck covers, sail bag, and tons of extra parts. 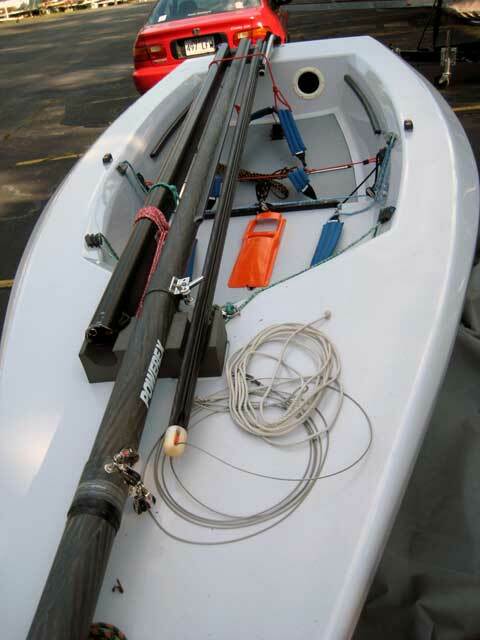 Overall, the boat is in great shape. There are a few scratches on the hull and deck, and the sail is original, but has plenty of life in it (photo documented). All running rigging has been replaced in '06. Control lines are Maffioli Swiftcord and Samson Amsteel Blue. 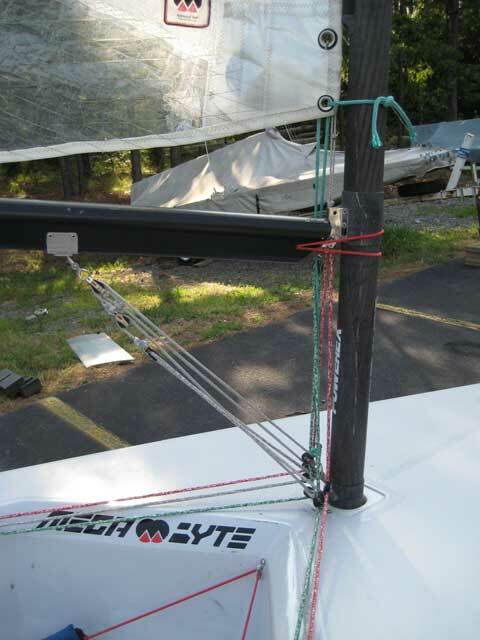 The mainsheet is Polilite Rooster Rope. The mainsheet system was also upgraded with a Ronstan series 60 ratchet block and Ronstan ball bearing blocks. If you have any questions, please do not hesitate to contact me. I have plenty of additional hi-res photos.